On Friday Chicago Mayor Rahm Emanuel’s office, in conjunction with Built In Chicago, announced that 19 startup and technology companies in Chicago’s Tech Sector raised a collective $265 million dollars in Q3 2013. This is an amazing testament to the success of Chicago’s startup and technology ecosystem. The biggest raisers were Network Merchants with $100 million, Cleversafe with $55 million, and Avant Credit with $20 million. Additionally, the breadth and depth of Chicago’s growing digital economy was evident in this fiscal quarter with nearly 40 startups receiving funding, 19 of those raising more than $1 million or more. 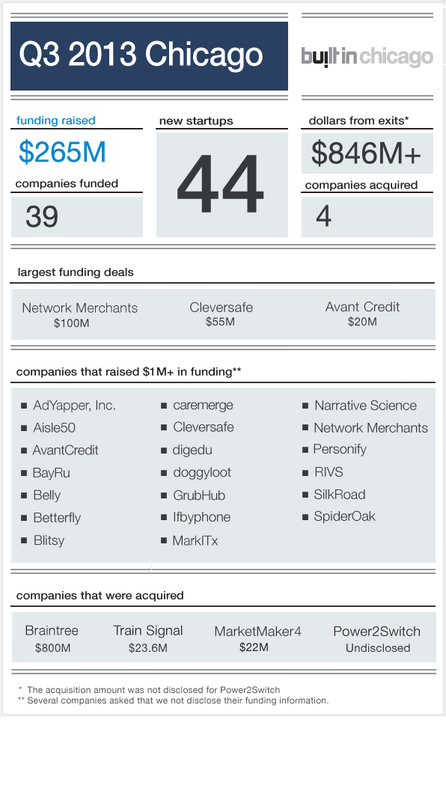 44 new startups came online. Last week, Built In Chicago released the Top 100 Digital Companies report on the Chicago technology sector, which had some outstanding news for Chicago’s digital technology sector. 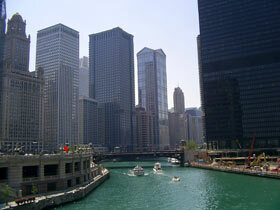 In 2012 367 startups launched– that is one new startup every 24 hours in Chicago (up from one every two days in 2011). The total employment in the tech sector ballooned to over 40,000 people, up more than 20 percent from the previous year. And more than 1,500 technology companies now call Chicago home. The diversity of Chicago’s technology companies is also notable. No sector of the digital economy occupies more than 33 percent, ensuring that all five major sectors (software, ecommerce, agency, consumer web, and b2b web) have a significant share of the digital market. Additionally, 90 percent of the technology companies in Chicago are now more than 5 years old, meaning that there is a level of maturity in the companies as they move into the next stage of their development. Chicago is preparing for Chicago Ideas Week next week, which will bring together entrepreneurial speakers, innovators, and thought leaders from across the country to Chicago for a week of amazing discussions, talks, lectures, hacking and more. You can find out more about Chicago Ideas Week here.